Nice template for business card in layered .PSD format, that come in blue color for you to use in your personal and commercial projects. 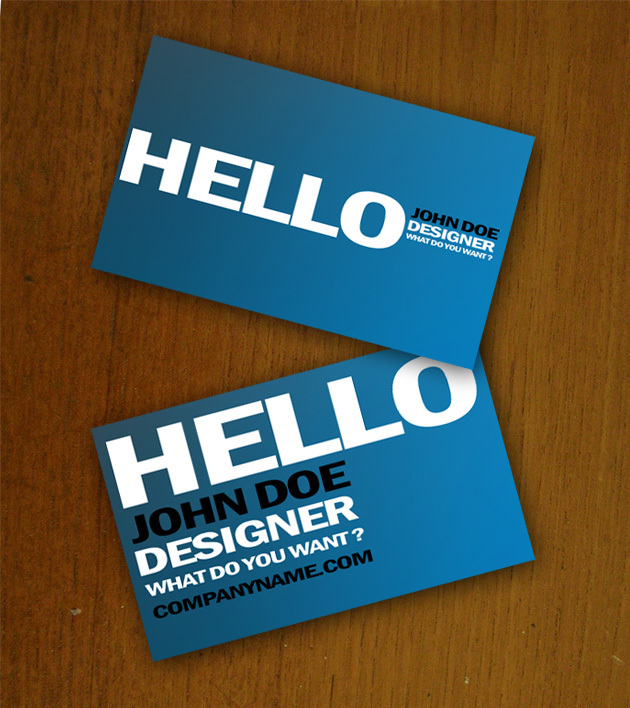 Just download them, open in Photoshop, change the text and you have a good-looking blue business card ! Nice shade of Blue. I also like the bold font, it looks strong and makes a statement! Hi….your business card is awesome!!!!!!! !